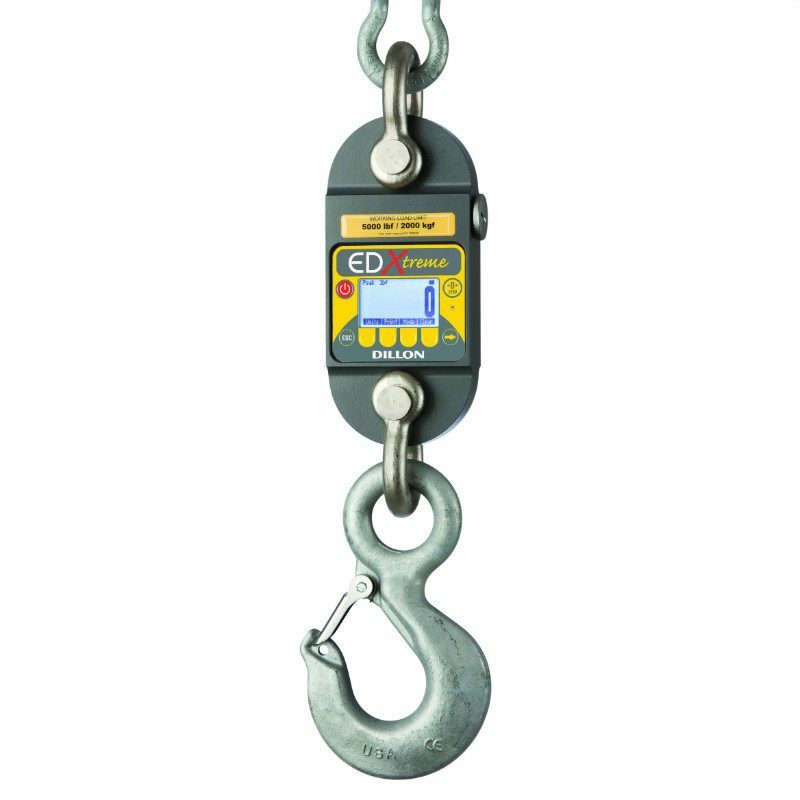 Dillon Electronic Crane Scale EDxtreme - C.S.C. 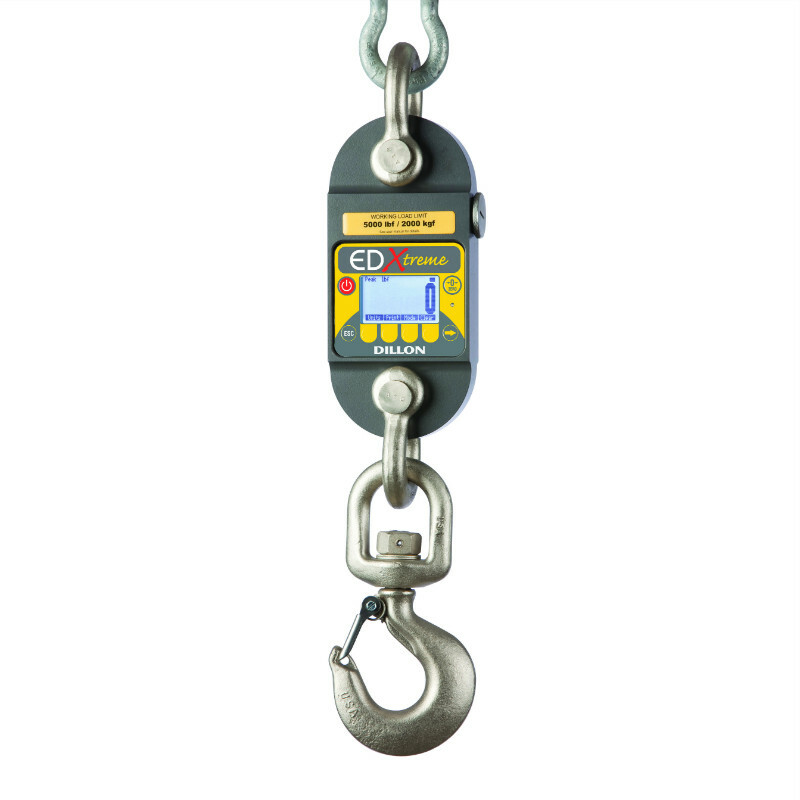 Force Measurement, Inc.
Have a question about the Dillon Electronic Crane Scale EDxtreme? 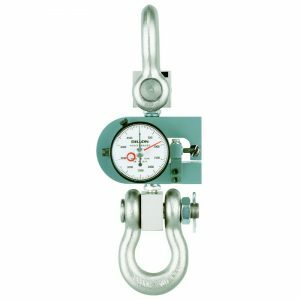 Building a precision instrument that can survive real world punishment requires masterful engineering. This is where Dillon’s experience shines through. 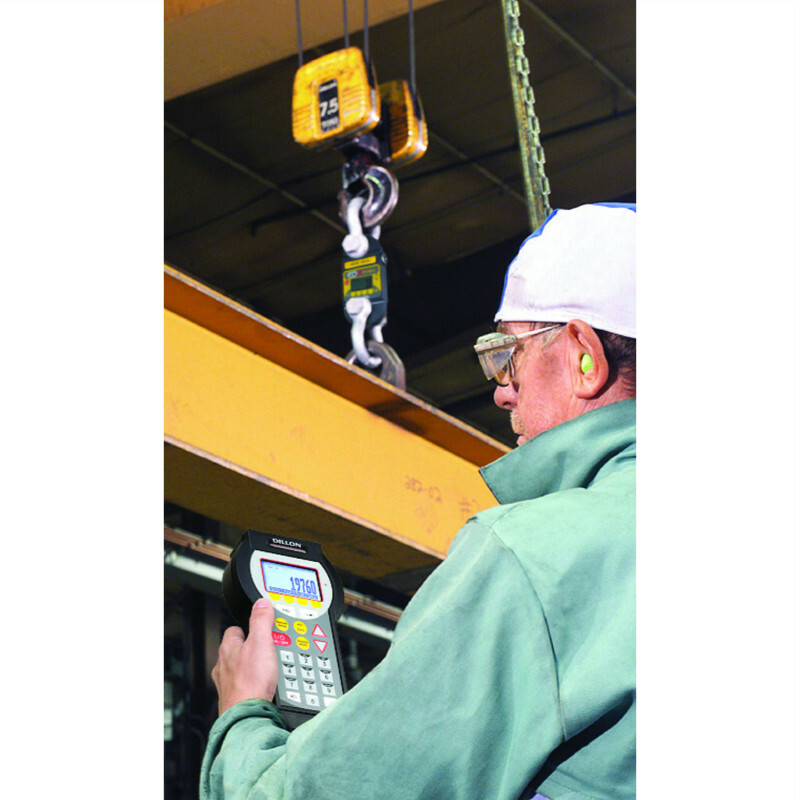 The engineers assigned to the EDX Crane Scale drew on a depth of industrial application knowledge and conducted exhaustive materials testing to achieve the highest structural integrity. Wide-angle, backlite LCD- provides improved readability over a wider viewing angle and has backlighting for low light conditions. Battery operation- Powered by two standard C-cell batteries. Batteries are easily accessible for fast replacement. 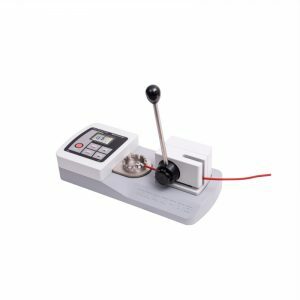 Superior strength and corrosion resistance– High capacity models are constructed of powder coated aircraft-quality alloy steel. 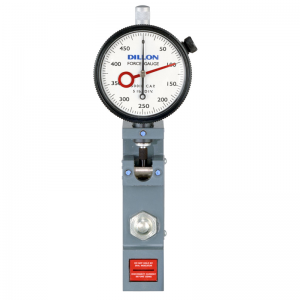 Lower capacity models are powder coated aircraft-quality aluminum. 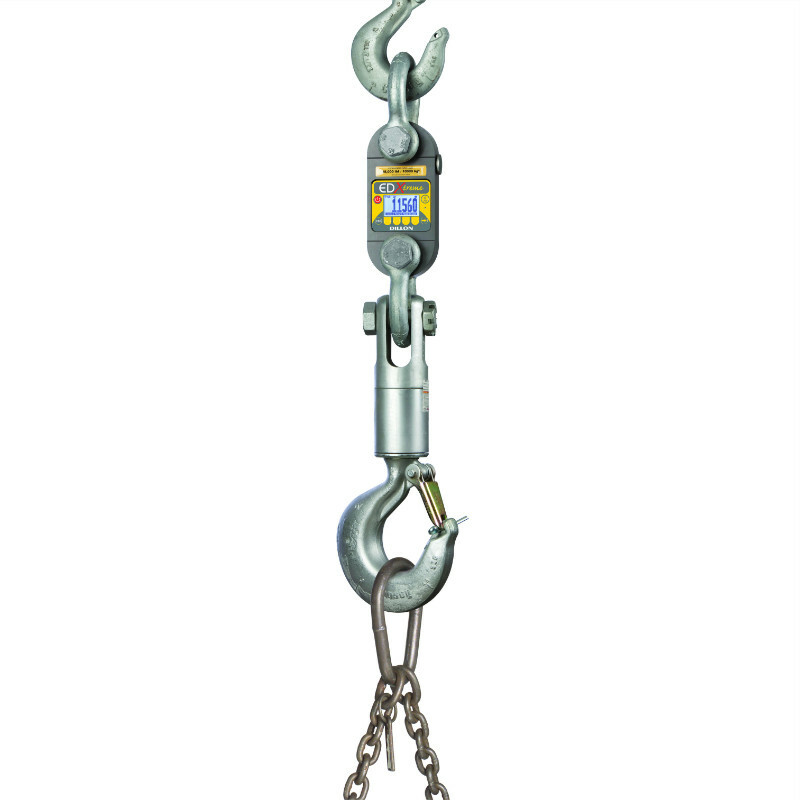 *Models with 75 T/160,000 lb or higher capacity feature a 4:1 safety factor and 0.3% accuracy. 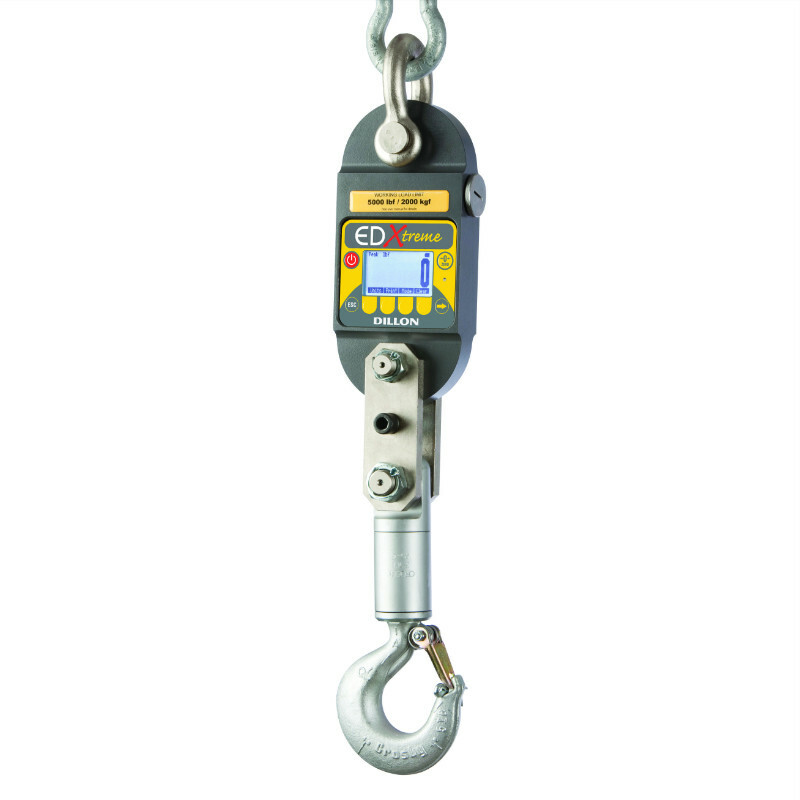 possible with the hardwired or radio communication options available with the EDXtreme Crane Scale. An RS-232 interface is standard on both the EDXtreme and Communicator for connection to a host PC. 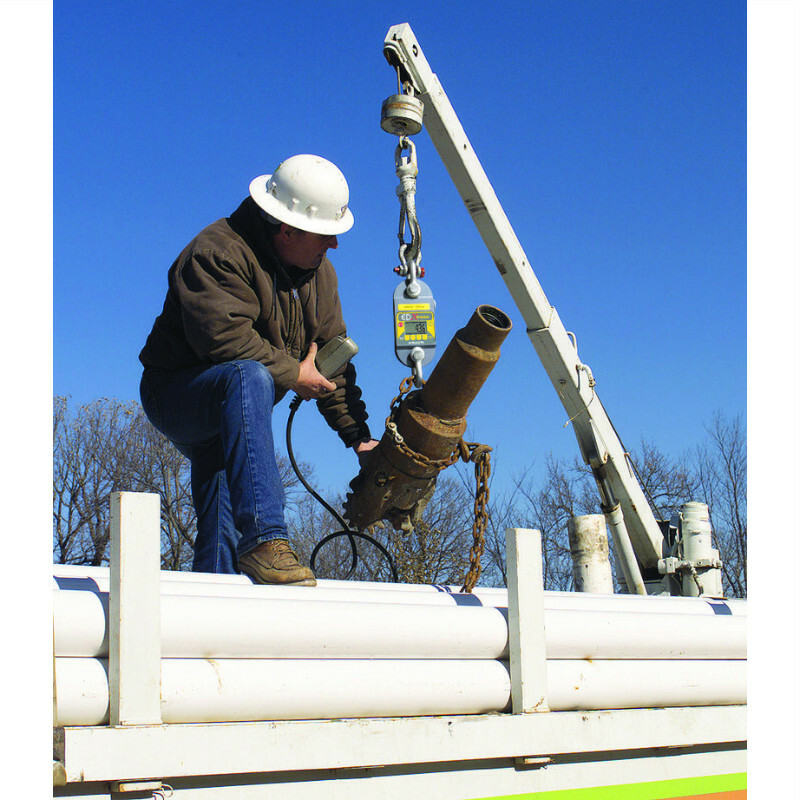 Stand-alone EDX for direct measurement applications. 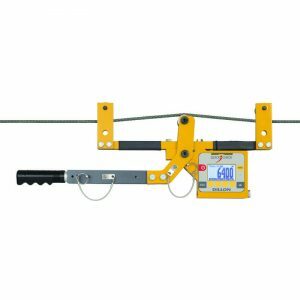 Single network with one EDX radio Crane Scale and Communicator. 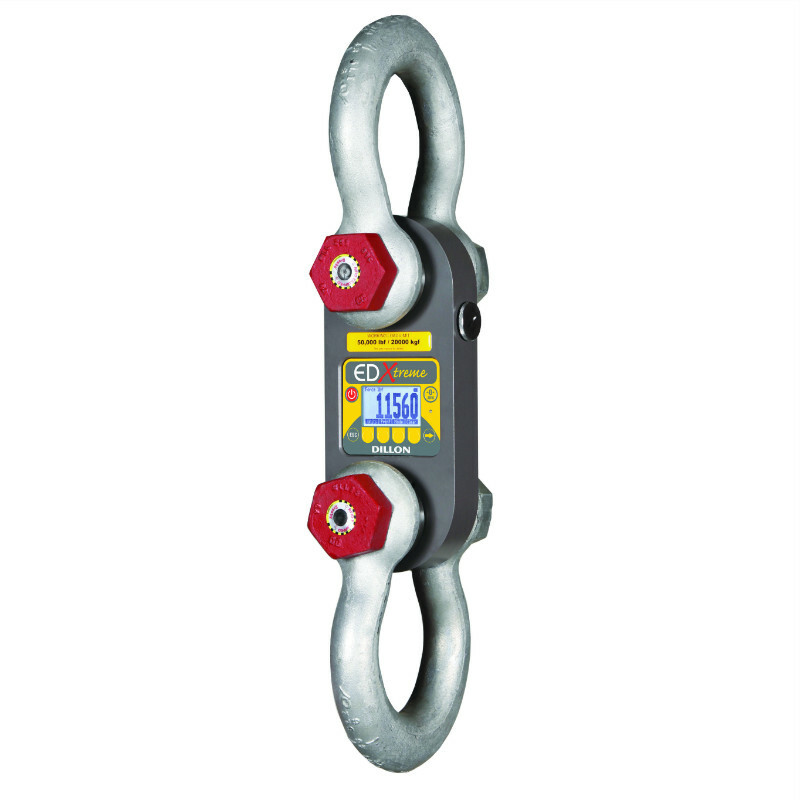 Single network with multiple EDX Crane Scales and one Communicator. 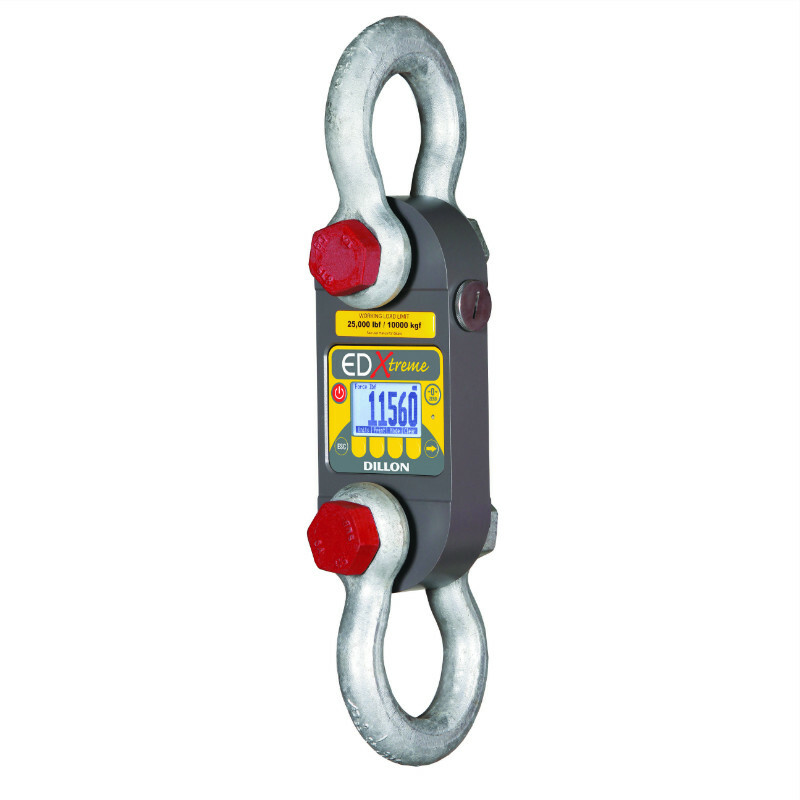 The Communicator monitors the load at each scale, plus the total weight. 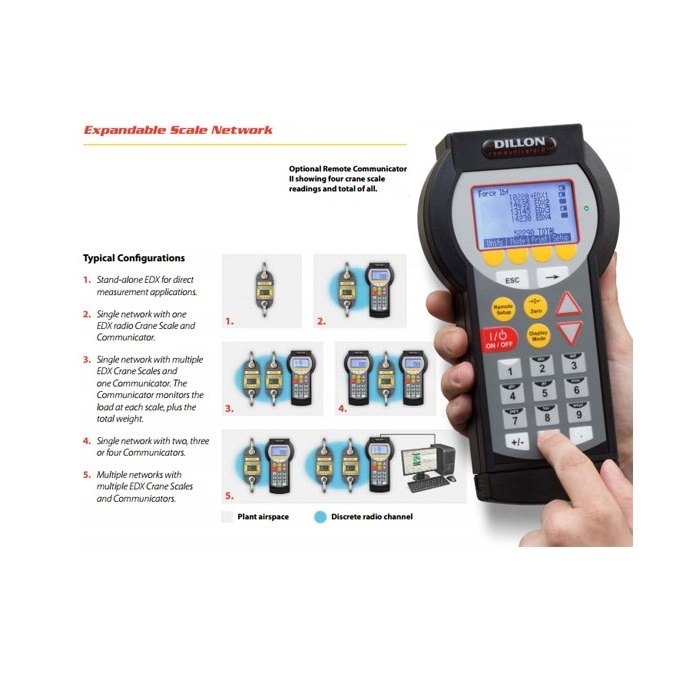 Multiple networks with multiple EDX Crane Scales and Communicators.